What Is Deep Trance Identification? Who Else Has Contributed to the Field of Deep Trance Identification? How Fast Does the Raikov Effect Work? Is the Raikov Effect Real? Or Is It a Scam? How Does the ​​​​​​Raiko​​​​​​​​​​v Effect by Inspire3 Work? 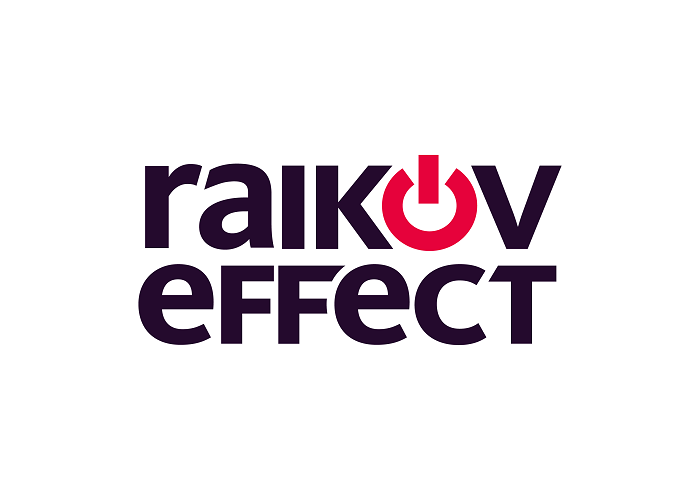 ​What is the Raikov Effect? The Raikov Effect is a technique developed from the principles of Deep Trance Identification and the experimental work of Dr. Vladimir Raikov. This course provides a guided tour through the required steps which can help you become more focused, creative, or centered. It teaches how to unlock the full potential of who you are now and hope to be. In its entirety, this content will take about 15 minutes to read. You can bookmark this page to read it later if you don’t have the time or use this 30-second review to gain an overview of what this post contains. 1. The Raikov Effect is based on deep trance identification techniques, or DTI. With DTI, it is possible for someone to identify specific traits or characteristics that they see in others and include them within their own core traits, values, and skills. 2. Using DTI and the Raikov Effect will not change who you are or help you develop skills unless that is what you want to achieve. 3. Dr. Raikov’s work has not been clinically or scientifically researched much outside of the DTI community. Studies of mirror neurons and how cells learn show encouraging results that may provide a foundational basis for more research into the Raikov effect. 4. It only takes about 10 minutes for the first benefits from a Raikov Effect session to be noticed. Using DTI for skill improvement is not a short-term project, however, and requires 8-12 weeks of intensive work with it to maximize the full potential of this program on an individual level. 5. Although some people may feel that the Raikov Effect is a scam, there are just as many others who have documented real results from using DTI techniques and components of this program. Success depends on how much you use this program, how willing you are to embrace change, and how your brain responds to the instructions received. 6. Dr. Raikov directed his students in the techniques of DTI to produce results. The Raikov Effect is a program which is self-directed, so you can work at your own pace. If you’re interested in what the Raikov Effect could provide for you, then visit their website today to explore its program components and techniques. For those who would like more information about deep trance identification and the Raikov Effect, then please read on. Deep Trance Identification, or DTI, is a process of inductive modeling (Wikipedia). In basic terms, it means that hypnotism becomes the primary process of learning for the individual. The Raikov Effect utilizes a modeling component to whom the individual being hypnotized can identify. That identification, while in a transitive state, allows the individual to experience the world with a different perspective. That perspective includes all aspects of the human condition. The values, beliefs, thoughts, and other states of the identified person or group of people become the identified states of the person experiencing DTI. After the DTI session, the individual is restored to their own unique perspective. The difference is this: they retain the perspective of the individual they were asked to model while in the transitive state. This is the foundation of the Raikov Effect. When the perspectives of an ideal individual or group are experienced by a person through DTI, they consciously and unconsciously begin to make decisions that lead them to a replication of their ideal scenario. DTI has seen some evolutions over the decades since Raikov first made his research available in the 1970s. One of the first adopters of this process was John Overdurf. He created PhotoReading workshops that would create visual identifications. His workshop had students associate with the authors of each book they would read. The goal of this association was to “format” the mind to be receptive for the PhotoReading skill sets that Overdurf was attempting to teach. In 2012, Shawn Carson and Jess Marion took up the mantle of DTI to use the process of the Raikov Effect to create therapeutic changes. They also worked to create a modality for enhancing skills. Together, they developed a complete protocol for using DTI that could be implemented by hypnotherapists. In 2014, these three adopters of the Raikov Effect came together to create the first full-length publication that featured DTI and its possibilities, including how different approaches may be effective in creating the Raikov Effect for individuals. Dr. Lee Pulos recounts on his blog the first time he encountered Dr. Vladimir Raikov and how he instituted a state of DTI. Raikov would bring a subject to the stage. He would then identify a modeler to which the person could identify. For someone learning how to paint, he might use Pablo Picasso as an example. Raikov would then create a hyper-alert “active” trance by using those authoritarian statements. After 8 weeks of receiving DTI therapy twice per week, Dr. Pulos recounts that the subject was not a master painter. That is the power of the Raikov Effect. It can help you turn basic knowledge or wisdom into a real skill that can be used to change the direction of your life. DTI has very little formal research completed in the area of neuroscience. The work of Raikov stands on its own, as does the follow-up work by Carson, Marion, and Overdurf, but little information from outside resources is available. What we do know how certain components of the brain work, however, and that can provide certain insights into why DTI can be effective. The first component of the brain that may be affected by DTI are mirror neurons. From a report written by Lea Winerman in October 2005 and published by the American Psychological Association, mirror neurons are a type of brain cell that provides an equal response to a perceived outside sensation. Have you ever cringed when you saw someone get hit in the groin? Cheered when someone won a race and felt your heart race with excitement? Do you feel sick when you see or hear someone else vomiting? Mirror neurons cause people to experience similar responses, emotions, or thoughts to the stimulus that has been encountered. How mirror neurons fire is based on a theory of neural plasticity that was introduced by Donald Webb in 1949. Hebb’s cell assembly theory focuses on how the brain learns new skills. If a person sees someone completing a task that is unknown, then nothing happens within the brain. No mirror neurons are created because there is no knowledge of what is happening. Using the example above, an individual may not cringe when someone is struck in the groin because that has never happened to them. If a person is shown how to complete a task, however, then a neuron will fire. Once that knowledge is obtained, additional neurons will fire almost simultaneously when a person sees the same task being completed by someone else. Additional neurons also fire as the skill being learned becomes refined. There are three key points that are notable about this process. #1. A person enhances their skills by watching others with the same skill. Neural networks form with mirror neurons when the same skill is observed. Whether the person being watched is “better” or “worse” does not matter. #2. Learning happens only when teaching has first occurred. A person must have relevant experiences to have neuron support for the learning process. There must be either practical experience from self-taught moments or formalized teaching for the Hebb’s cell assembly theory to apply. #3. Learning never stops. Mirror neurons will always fire when a relatable experience occurs. That means once an individual obtains knowledge, they will continue to learn that specific skill for the rest of their lives whenever they practice it personally or observe someone else using the same skill. That is how the Raikov Effect provides such incredible results, but is also why it may not work at all for some individuals. 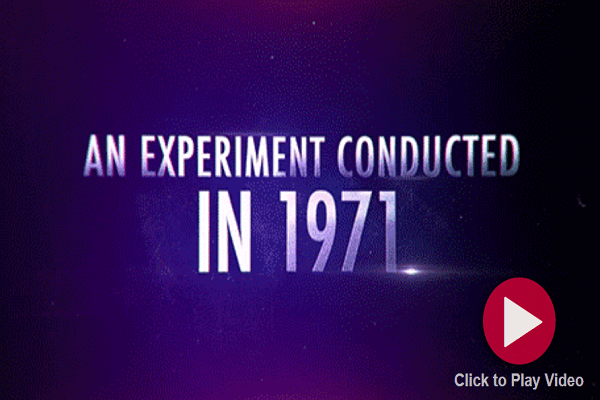 Imagine that you are one of the student’s in Raikov’s initial experiments. He’s hypnotizing you, creating a DTI state, to help you improve your musical skill and understanding of music theory. The only problem is that you have no interest in learning an instrument and have never tried to learn anything about how to play or understand music before that moment. The Raikov Effect would be ineffective because there is no cornerstone of knowledge to build upon in that circumstance. Without musical understanding present, you cannot become a better musician. This principle is true for any other skill. If you’ve never tried to cook before, DTI cannot help you become a chef. If you’ve never tried to learn coding, then the Raikov Effect will not help you become an expert software engineer. The Raikov Effect uses your personal experiences and allows you to identify with them through a lifetime of memories. That direct association, along with model identification with the experts in your preferred area of study, is what creates an immediate boost in subject understanding. When you watch promotional media for programs that utilize the Raikov Effect, you’ll find a lot of promises being offered. Here are just a few that may make you laugh, cringe, or roll your eyes. 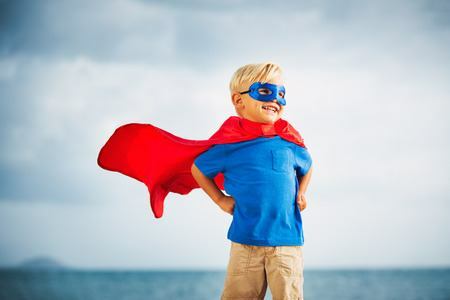 ​You can have a super power in as little as 10 minutes from now. If there’s a habit you want to break, then stick around and learn how the Raikov Effect can stop your cravings or addiction instantly. 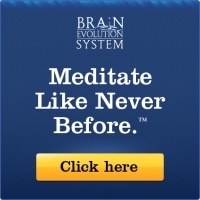 ​The Raikov Effect is a little-known secret that allows people to unlock their hidden power. Is it possible to experience results in just 10 minutes? Theoretically, yes. The following conditions must be present, however, for such a quick turnaround using the Raikov Effect. #1. There must be expertise already present. There must be extensive knowledge and training in place to take advantage of the mirror neurons that DTI accesses so that the individual’s perspective can better match the person or group of people they are being asked to model. #2. There must be direct association. The individual must have either met the person or group of people they are being asked to model or have studied them extensively to understand the processes, thoughts, and perspectives that are different from their own. #3. The blockage that holds you back must be minor. Major obstacles take time to resolve. There may be socioeconomic factors, anxiety disorders, or a lack of expertise that is holding you back. All these barriers can be overcome, but it may take more time to develop those skills. This could be you in the first 10 minutes of taking advantage of the Raikov Effect, but more people will benefit from this type of program when time is given to it. 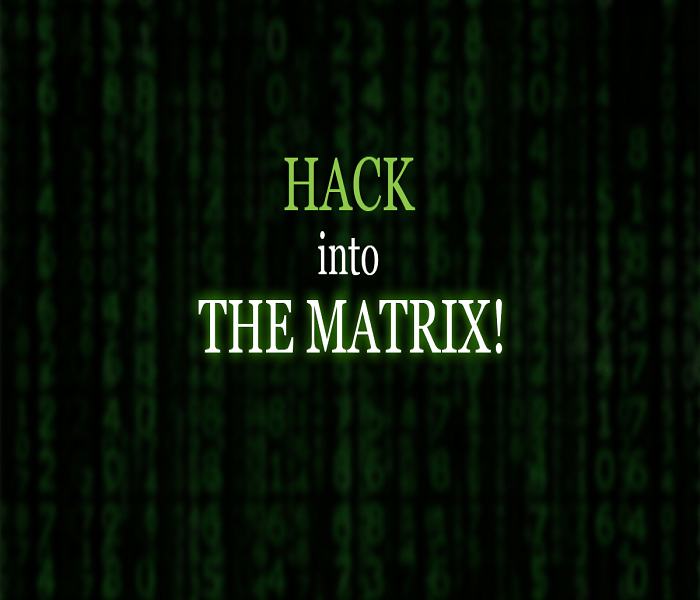 A majority of people who are trying to “hack their brain” through DTI can see results in 6-8 weeks with 2-3 DTI sessions each week. Once the benefits are achieved, they stay present because the information stays retained within the mind. This works because the Raikov Effect benefits from the early learning strategies that humans naturally use to build talents and skills. Young children tend to pretend in their game play, which is a skill that adults tend to lose. Children pretend to be astronauts, doctors, video game characters, superheroes, and anyone or anything else their mind can invent. This type of playing helps children develop leadership skills, confidence, creativity, social values, and even math or reading skills. It all depends on the type of game they are playing and how long they play it. For children, it is a natural concept. DTI allows the mind to no longer be conformed to the rules of the world. It can focus on a time when learning was its highest priority. That allows the brain to create more mirror neurons. 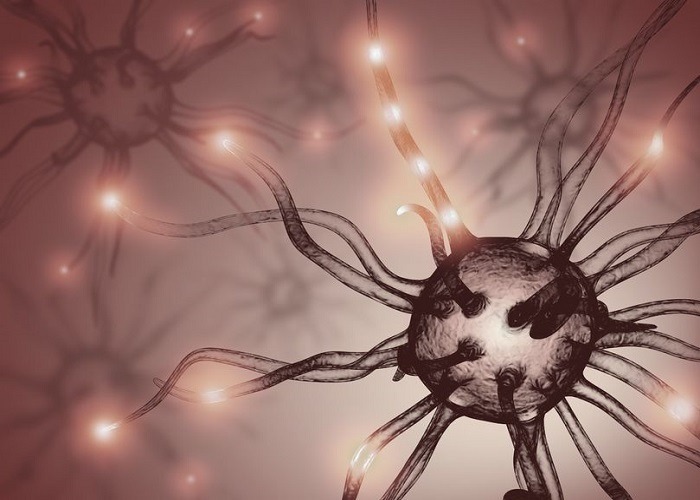 The neurons develop into networks. Those networks then help people produce the results they want to see in whatever area of their life that they feel needs a change. The Raikov Effect may have fair points of criticism, but it is not a scam. As with any type of therapy, some people will benefit from its processes more than others. What matters most is the personal approach taken when using this program and research to your personal benefit. Reasonable expectations for success with this program include enhancement, desire, and patience. The definition of a scam is that it must be a dishonest scheme or be something fraudulent, designed to make a quick profit. That is not the goal of the Raikov Effect by Inspire 3. Deep trance identification utilizes a process of inductive modeling. While experiencing DTI, the program helps you, the “modeler,” be able to associate specific skills and perspectives that are associated with your own preferred model. Those experiences and perspectives then influence personal thoughts and beliefs – even your values. DTI is based on external information providing neural influences. If someone yawns, there is a desire to yawn as well. If you’re having a coffee with a friend, the tendency to pick up the coffee cup when your friend does will be present. Children look to their parents as modeling influences, often mimicking key phrases and mannerisms they see. Does it work all the time? Of course not. Experiences will vary, just as they do with any other product, service, or therapeutic service. The more you put into this program, however, then the more you may be able to get out of it in future days. How Does the ​​​​​​Raiko​​​​​​​​​​v Effect Course by Inspire3 Work and How to Use It? The new technique that is being promoted through the Raikov Effect by Inspire3 simplifies the process that was discovered more than a generation ago. It is an audio program, available in US or UK English, that promotes a 5-step process that encourages a DTI state. In the first step, the audio program encourages you to visualize the person you’re attempting to emulate. If you want to enhance your skills in the area of technology, for example, you might picture Steve Jobs or Bill Gates. It is important to note that the individual being pictured does not need to be currently living. Anyone in human history could be pictured using this program. It can even be a different version of yourself. You can picture a past version to bring yourself back to the “good old days” or a future self that is confident, intelligent, and able to conquer any challenge. What you’re attempting to do during this step is to picture that person’s perspective of the world. How do they think? What do they feel? What challenges were they able to conquer? This step begins the process of having the brain’s mirror neurons firing. Now that you’ve changed places with the person you are modeling, it is time to become that person. Visualize yourself seeing the world through their eyes. See yourself performing activities, answering questions, or having feelings like that person would have. This step must also have a physical reality presence to be effective. Have your body begin to duplicate what the modeler’s body would do. Share that person’s posture. Use hand motions like they would use. You’re taking over their mind and adopting it as your own. That allows you to perform their skills with greater ease and confidence because you’re visualizing yourself as them, not you. This step allows users of the Raikov Effect to retain the perspectives that they have learned through the previous 3 steps. The anchor allows instant access and can be built upon with subsequent sessions. Now you must incorporate the perspectives and attitudes you’ve visualized and postured into real life. You must consciously decide to become that person you’ve modeled. That can be accomplished in a variety of ways. You can eat the same foods as the modeler. You could visit the same locations the modeler has discussed in their work. You can pursue the same hobbies. Every action you take builds upon the learning process that Hebb’s cell association theory describes. Your actions build neural networks. Those networks promote skill expertise. That expertise builds confidence, which encourages even more skill repetition. As an added benefit, you can now even watch your modeler perform the same skills you want in your life and this further enhances the learning process. Raikov would have his students play music or create artwork. You can go to work and be more confident. You can go to bed and finally receive some restful sleep. It’s all up to you and what you want to get out of this experience. Inspire3 has designed a program that incorporates the core elements of Raikov’s research and the subsequent findings of Overdurf, Carson, and Marion, but provides new elements that make it a self-sustaining process thanks to audio triggers. 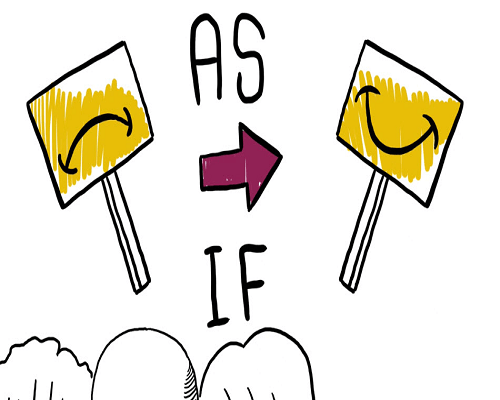 The most important element of this new program is the incorporation of the As-If Technique. As with the changes made to DTI to make it a self-sustaining program, Inspire3 has created self-incorporation of reflecting as-if, or RAI, counseling into daily life. This is accomplished through a 3-phase approach. Ask Reflective Questions. Ask yourself how you would be acting if you were a different person at this very moment. If someone else were watching you, what would be different about you? Create a List of Behaviors. Once you’ve determined how you’d act differently, it becomes important to rank the behaviors that would be different. Which will be most effective at helping you accomplish your goals? Think about which behaviors are on your list, debate their viability, and eliminate any that do not maximize your time investment. Enact Those Behaviors. Now take the least difficult behaviors that have been identified and implement them to the best of your ability. Stay away from complex behaviors until the RAI process becomes familiar and successful implementation has occurred at least once. Activating the RAI technique may seem complicated at first, but many people can implement the first behaviors in 5 minutes or less. The first thing you’ll want to do is create the proper emotional state for yourself. Certain emotions encourage the mirror neurons to fire with greater consistency. If you wish to feel happy, then smile. Open your arms wide, like you’re about to give yourself a hug. Happiness makes it easier to focus on difficult tasks or handle a stressful situation. If you wish to feel more confident, then stand up straight or sit in your chair with proper posture. For those who are standing, put your hands on your hips. Maybe take a small step forward or lean forward. For those who are sitting, try leaning backward and crossing your arms up by your chest. If you wish to feel more determined, then clench your hands. Take several deep breaths, feeling your chest rise up and down. Clench your jaw. Squint your eyes and focus on one specific object in the room. These RAI techniques are useful for those moments when the pure visualization and DTI components of the Raikov Effect by Inspire3 are not creating the intended results over multiple sessions. As If technique - click here to learn more. As with any self-improvement program, it is important to note that individual results will vary. Although this program is designed to be as effective as possible, individuals without any experience in their chosen program will not experience results in the same way that someone with some expertise experiences. This method, however, makes sense. It is based on sound scientific theory and observation. It incorporates reviewed counseling and therapy principles. It offers multiple points of emphasis so that a specific outcome can be achieved by each participant. It is also self-directed, so you don’t have to worry about returning to a therapist 2-3 times per week for additional DTI sessions. With this audio program, you can establish your own hyper-alert state to create DTI benefits. What is so unique about this effect, whether from this Inspire3 program or from sessions personally conducted by Dr. Vladimir Raikov, is that it feels like much more time has passed then what actually occurs. When using any of the Raikov Effect programs, it often feels like twice the amount of time has passed compared to what has really occurred. This effect, which is referred to as “time distortion,” is another reason why this program is quite an effective tool to use. By expanding a personal concept of time, it becomes possible to see the world differently. More “time” can be used for learning. That increases the skill-building opportunities which occur through the neural networks that are built with each skill learned. There are numerous program options from which to choose. 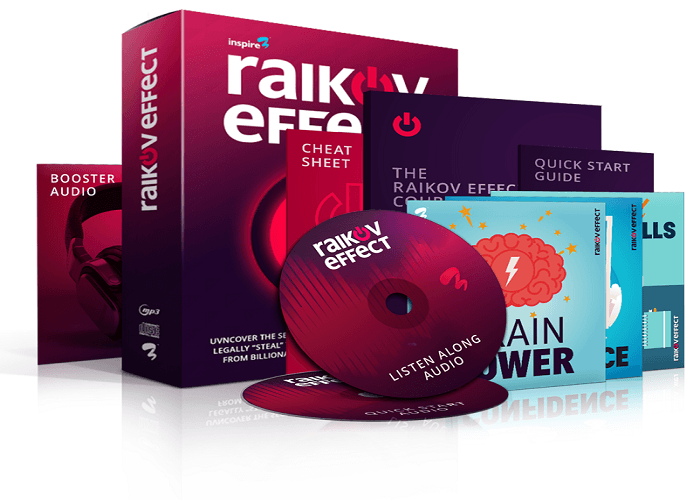 Blissful Happiness, Public Speaking, and Activate Genius IQ are just 3 of 40 different listen-along audio programs which are available to use with the Raikov Effect program by Inspire3. Now it is up to you. Are you ready to maximize your full potential today? click here and download your pdf guides and more. And if you want to watch the Raikov Effect video, then click here. 2. How Does the Raikov Effect Work? 3. Is the Raikov Effect a Scam?